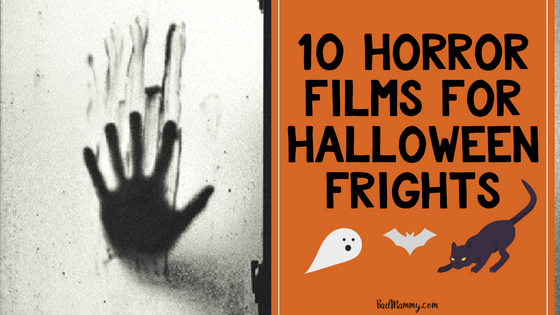 If you’re looking for a movie to sit down together to watch to get into the Halloween spirit, here are some Halloween movie suggestions which shouldn’t leave anyone unable to sleep (caveat: know your own child; I make no guarantees that all kids will react the same!). After he moves to Scotland with his parents, only child Tony (Jonathan Lipnicki) struggles to make friends at his new school. But he is bullied and picked on by the other boys, and has little hope of overcoming his miserable new life. Then he meets Rudolph (Rollo Weeks), a kid vampire with whom TonyÂ becomes very close. But, when Rudolph’s life and the future of the vampire race are threatened by a ruthless vampire hunter, Tony must find the courage to save his best friend. One for the whole family, with the kid from Stuart Little in the starring role! If you’re a fan of the Dreamworks crew (Shrek, Madagascar), then these shorts may be perfect to watch together this Halloween. Here’s a taste of what to expect…. Getting right back to childhood with this one – it’s not a movie, so it’s in shorter bursts, but Netflix has five whole seasons of Goosebumps. Based on the best-selling series by R.L Stine, and complete with 1990s special effects, you can introduce your child to scary stories which enraptured kids of a previous generation – and enjoy the throwback to childhood yourself! Probably better for older kids/kids who aren’t scared easily. Check out the very 90’s trailer below…. The mention of the name has me snapping my fingers. It’s a classic from 1991 – 25 years old this year and still brilliant.Â When long-lost Uncle Fester reappears after 25 Years in theÂ Bermuda Triangle, Gomez And Morticia plan a celebration to wake the dead. But Wednesday barely has time to warmÂ up her Electric Chair before Thing points out Fester’s uncommonly “Normal” behavior. Could this Fester be a fake, part of an evil schemeÂ to raid theÂ Addams fortune? Once the kids have gone to bed, it’s time to bring out the creepier stuff! There’s a variety ofÂ Halloween movie optionsÂ so you should find something that fills what you’re looking for – whether it’s a milder movie like Scary Movie, or full on horror. Get the popcorn and cushion at the ready, lock the doors and ignore all creaking noises from the house! A killer known as Ghostface begins killing off teenagers, and as the body count begins rising, one girl and her friends find themselves contemplating the “Rules” of horror films as they find themselves living in a real-life one. I quite like this one, am due a rewatch! A family is terrorized by demonic forces after moving into a home that was the site of a grisly mass-murder. You know, the usual neighbour problems…..maybe not. Directed by Andrew Douglas and starring Ryan Reynolds (Green Lantern, The Proposal) and Melissa George (Grey’s Anatomy, Home and Away), this is a remake of the 1979 film of the same name. Keeping many of the horror cliches in, it’s a good watch but you may not be leaving the lights on afterwards. For a lighter Halloween movie choice, you can’t go wrong with any of the Scary Movie franchise! Sending up many of the horror movie tropes and series, it’s good for a giggle! Take your haunted house and bring it to a new level. That’s what 2010 horror movie Insidious does.Â The movie tells theÂ tale of a family that moves into an old house and begins to suspect they are under siege from otherworldly forces when their young son inexplicably falls into a deep coma. As devoted parents Josh and Renai struggle to uncover the cause of their son’s condition, the stress of the situation gradually begins to take its toll on theirÂ relationship. When darkness falls and specters appear to reach out for them from the shadows, the frightened parents realize they’re dealing withÂ something even more sinister….. If you’re into Found Footage type films (think Blair Witch Project) this one may be for you! The first two in the series are available on Netflix if you dare! BadMammy is on Facebook and Twitter. Come check it out and tell me what you think!